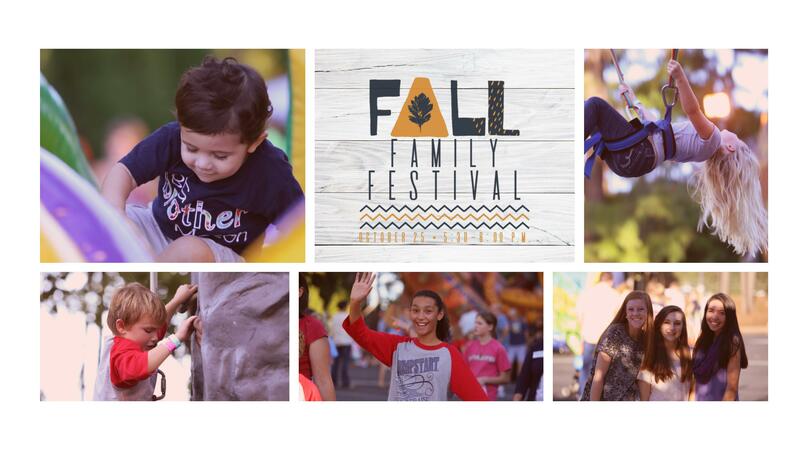 Home // Mark Your Calendar // Join me at the Fall Family Festival? Join me at the Fall Family Festival? I hope you will join me, hundreds of Inglesiders, and guests at our Fall Family Festival on Wednesday evening, October 25. It’s a great night of fellowship, food, and fun for all ages. And, if you have a friend that you want to introduce to our church, it’s a wonderful event to invite them to attend with you. It all occurs here at Ingleside on the east side of our campus. Start time is 5:30 p.m., and we wrap it all up at 8:00 p.m.
Be sure to bring your appetite with you. The food options are fantastic. Our own Ingleside team will offer barbeque plates with all the fixings. In addition, there will be food trucks (Atlanta Burger, Mac the Cheese, Taco Truck), Zaxbys, Marcos Pizza, Pinky’s Shaved Ice, and the Great American Cookie Company. And, don’t forget the complimentary candy apples, cotton candy, and popcorn while supplies last! There will be live music by our Xtreme Praise kids our student bands and orchestra. There are also games galore for preschoolers and children. And, the plan is for 26 inflatables for all ages. Parking is available at the office park, the Annex, and the shopping center (Across the Street). Additional overflow parking is available with shuttles at Theron Ussery Park (formerly North Macon Park). So as the seasons are changing, don’t miss a great night to celebrate God’s faithfulness and good gifts to his people. I hope to see you at the Fall Family Festival!